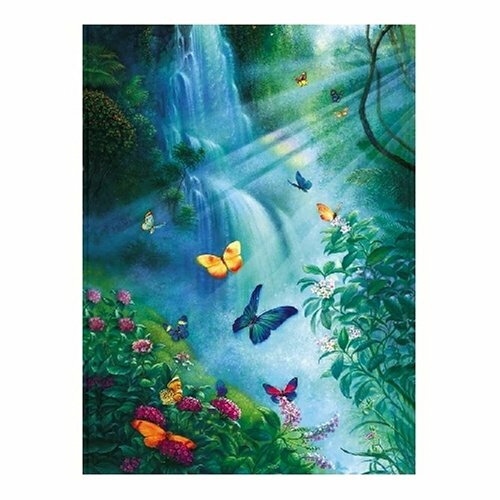 Butterflies in the Mist, SunsOut 3000pc Jigsaw Puzzle. Completed Puzzle Size: 42.25x31.125 Inches. Puzzle Artist: Tom duBois. Eco-Friendly - Soy-Based Inks - Recycled Board. Proudly Made In The USA.